If there is one thing that is the most responsible for keeping us hooked on meat, it’s our culture. Not our genes, not our taste buds, not even the powerful meat industry with its annual sales in US higher than the GDP of Hungary or Ukraine — although, admittedly, all these factors are important, too. There are plenty of beliefs that, taken together, perpetuate the meat-eating culture. Take the belief that “we are what we eat.” The Hua tribe of Papua, New Guinea, think that children will grow fast if they eat fast-growing plants, while the men of the Dyak tribe of Northwest Borneo avoid venison for fear that eating it would make them timid like deer. In ancient Egypt, kings would once a year slaughter the bull-god Apis and eat its flesh to get the animal’s fierceness. In Benin, West Africa, practitioners of voodoo to this day drink the blood of sacrificial animals to get their strength. And studies show people in the West may hold similar believes, too, albeit subconsciously. In a classic 1989 experiment conducted among 310 undergraduate students at University of Pennsylvania, fictional tribes-people who eat boars were rated as having more hair and being faster runners than those who eat turtles. No wonder then that we think that eating bloody meat will make us stronger, while eating leafy green vegetables could turn us kind of floppy and weak. You can see the echoes of such convictions in everyday language. We “beef up” our muscles in the gym, but go “couch potato” when we feel lazy. To “become a vegetable” is to become disabled. To be a “beefcake” is to be attractive and strong. Meat has symbolized wealth and masculinity for thousands of years. It all goes back to 2.5 million years ago, when our ancestors started eating meat on the savannas of Africa. Meat is a particular food. It often comes in a big package (think elephant-sized, or even zebra-sized) and spoils fast. That makes it the perfect food for sharing. But when you have something so calorie-dense and nutrient-dense as meat – and hence, craved – to divide among others, some important questions arise: Who will get the largest piece? Who will get nothing at all? Thus politics begin. 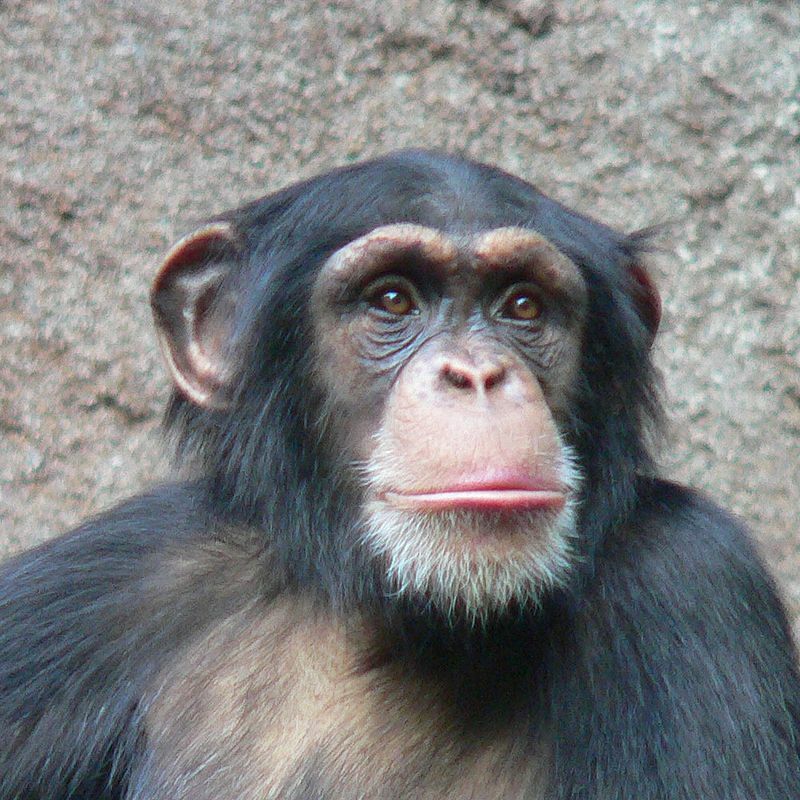 Our cousins, the chimps, use meat to buy political privileges, too. Not only do they give meat to select apes to form alliances, the alpha-males are also more likely to share meat more generously at the start of their reign than later on. What helped cement the connection between meat, power and wealth later on in human history, was the so-called scarcity principle. Basically if something is rare and expensive we tend to desire it more. That’s part of the allure of things like Aston Martin cars or Patek Philippe watches. 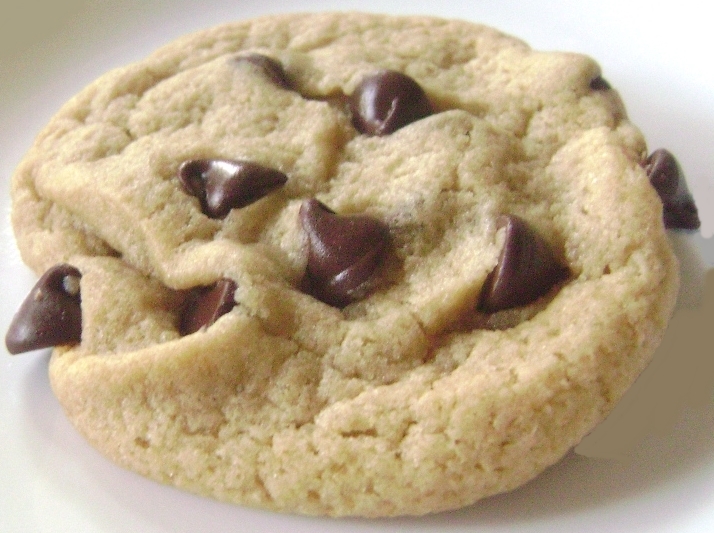 In one experiment researchers asked 200 women to rate the value of chocolate chip cookies placed in two jars: one jar contained ten of the cookies, while another just two of them. Even though the cookies didn’t differ whatsoever, those from the almost empty jar were rated higher than the ones from the full jar. Meat has been a rare and expensive good for most of human history. The diet of a farm worker in 18th century England would consist mostly of root vegetables, bread, cheese, butter, sugar, tea, and a little milk. Meat seldom made it onto the plates of the poor. Meanwhile, the European aristocracy gorged themselves on as much as two to three pounds of meat and fish per person per day, devouring everything from pigs and chicken to peacocks, storks, otters and porpoises. And that abundance of meat was what the lower classes aspired to. What’s more, treating meat as a reward, a special food eaten during celebrations, only boosts its power as something to crave. 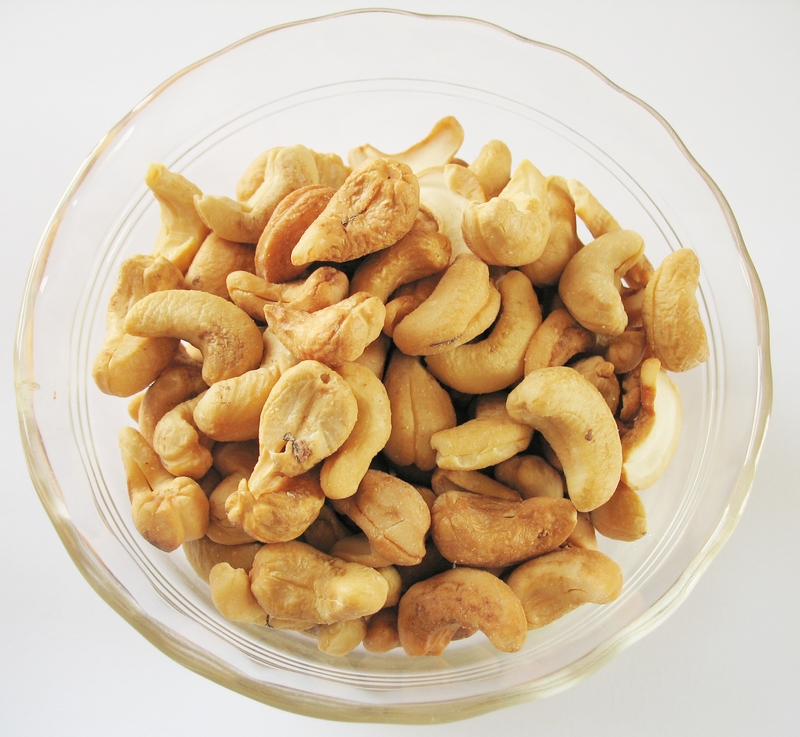 In one experiment researchers told children that they could only have certain snack foods if they behaved well – and right away they started craving these snacks more than did kids in a control condition, who were just simply offered the food. And there are plenty of other experiments with similar conclusions. Watching other people smile as they eat certain foods makes us enjoy these foods more, too. Leann Birch, psychologist at the University of Georgia, has shown in her research that if you give children snacks they don’t necessarily like much, such as cashews, but you do it while being super friendly, the kids will start truly enjoying the taste of cashews (here’s a tip to parents – if you want your kids to love broccoli, show pleasure on your face when you eat it yourself, even if you have to fake it). For centuries meat has been eaten on occasions when people are particularly friendly to each other: think Thanksgiving, Sunday dinner roasts. Even the word Carnevale in latin literally means “farewell meat” – good-bye before the fasting of Lent. No wonder, then, that for so many of us meat equals pleasure. The mighty meat industry knows well how to play on symbolism of meat to sell us more of it. Look at the advertisements they put on TV. In an ad for Hummer H3, a vegetarian guy has to buy himself that gas-guzzler of a car to prove he is still powerful and wealthy, even though he doesn’t eat meat. In Burger King’s ‘’Manthem’’ ad, a group of guys sing that they need to “eat like men” (meat, obviously), while DelTaco’s ad suggests that beef will feed the beast inside you — the primitive, violent masculinity. Other examples abound. With such potent symbolism behind it, no wonder we stay hooked on meat. We humans like power and wealth, and that’s precisely what meat stands for. But, hopefully, if we are aware of the symbols and cultural stereotypes the meat eating plays on – and that the meat industry uses to lure us — we can learn to better control our food cravings. Marta Zaraska is a science journalist published in Scientific American, the Washington Post, the Atlantic, and other publications. 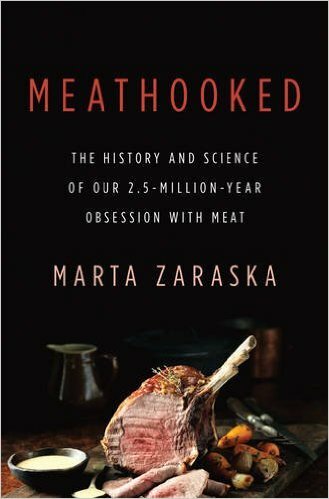 She is author of Meathooked: The History and Science of Our 2.5-Million-Year Obsession with Meat (Basic Books, February 2016).